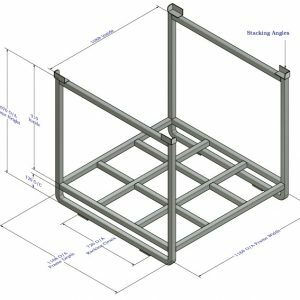 Stackable and rackable, our steel pallets cages and stillages are space saving. Either on self locating pallet feet, or with bearers to fit into racking, they allow full use of available floor space and racking area. 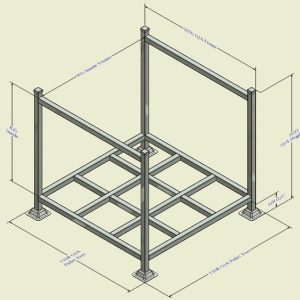 Product and materials can be stored and handled more securely in JNI Pallet Systems, the rigid tubular steel construction combined with suitable cladding (mesh, sheet steel, timber) will take good care of your valuable product. A safe and lasting solution for your materials handling problems – sturdy in construction and low in cost. Choose from our extensive standard range or have us custom design a solution to suit your specific needs. Need A Quote? Note: Above pallet cage capacities and stacking are relative to JNI Pallet Systems ‘Series 90’ only and should not be stacked with any other products or systems.